Casting flange is a commonly used flange technology, which has the advantages of high production efficiency and low production cost, and is suitable for medium and low pressure pipelines. Forged pipes are recommended for pipes operating at high pressures. The casting flange is made of iron filings. 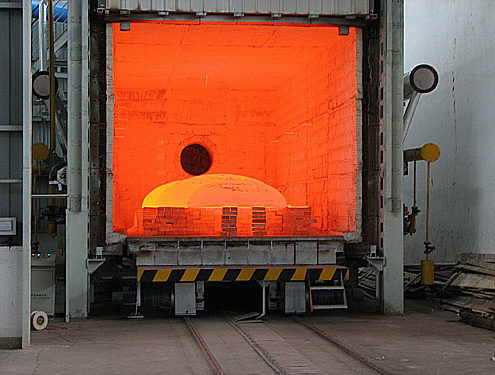 After the iron mill is melted, the molten iron is poured into the mold, cooled, and processed. 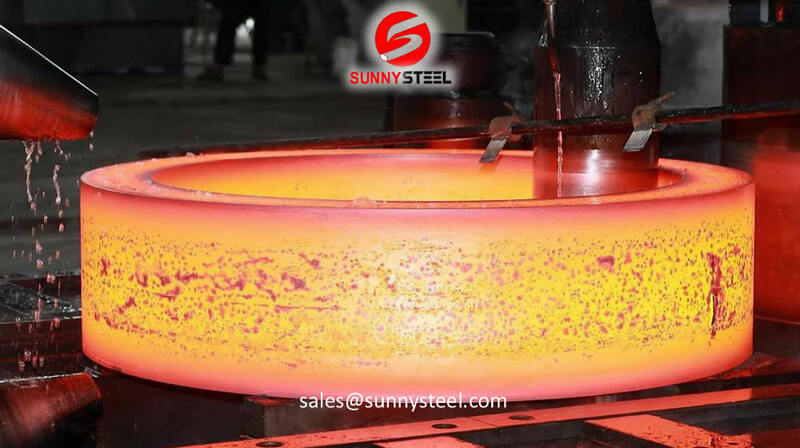 Some processing procedures are to pour the molten iron into the mold and heat it in the forging after molding. A form of processing. 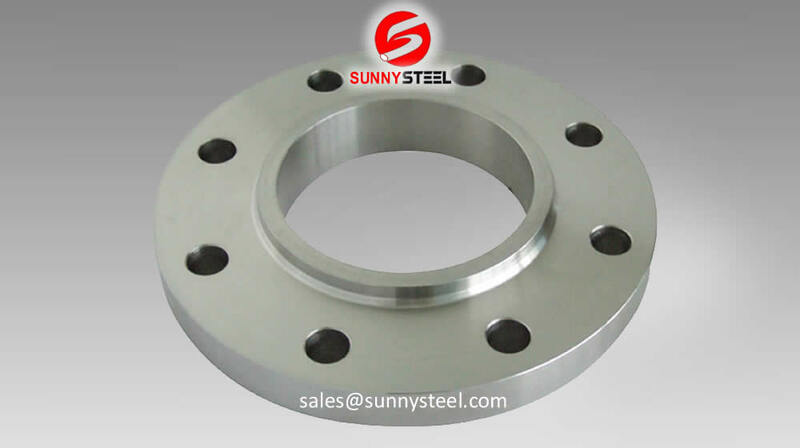 Understanding customers requirement and ensuring to supply as per these requirements is realised with the help of quality assurance at Sunny Steel one of the best Flange Manufacturers in China , our product range include all types of flanges such as MS Flange ( Mild Steel ) , Raised face flange , Weld neck flange, Bellow Flange , and Flanges according to custom requirement. The forging process generally consists of the following steps: selecting high-quality billet blanking, heating, forming, and forging cooling. The forging process is free forging, die forging and film forging. 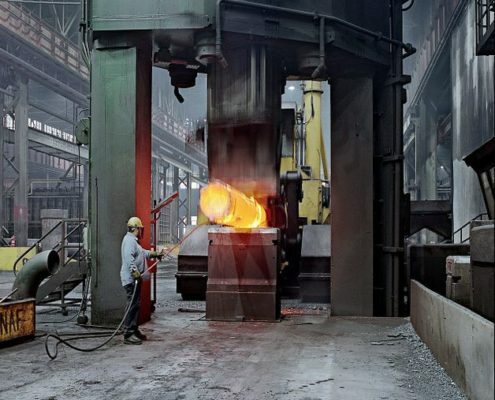 At the time of production, different forging methods are selected according to the quality of the forgings and the number of production batches. The free forging productivity is low, the machining allowance is large, but the tool is simple and the versatility is large, so it is widely used for forging a single piece and a small batch of forgings with a simple shape. Free forging equipment includes air hammer, steam-air hammer and hydraulic press, which are suitable for the production of small, medium and large forgings. Flange processing manufacturers look for Titanium machinery. Die forging has high productivity, simple operation, and easy mechanization and automation. The die forgings have high dimensional accuracy, small machining allowance, and the fiber structure distribution of the forgings is more reasonable, which can further improve the service life of the parts. The basic process of free forging: When free forging, the shape of the forging is gradually forged by some basic deformation process. The basic processes of free forging are upsetting, lengthening, punching, bending and cutting. Upsetting: Upsetting is an operation process in which the raw material is forged in the axial direction to reduce its height and increase the cross section. This procedure is commonly used for forging gear blanks and other disc-shaped forgings. The ups and downs are divided into two types: all upsetting and partial forging. Pulling length: Pulling length is a forging process that increases the length of the blank and reduces the section. 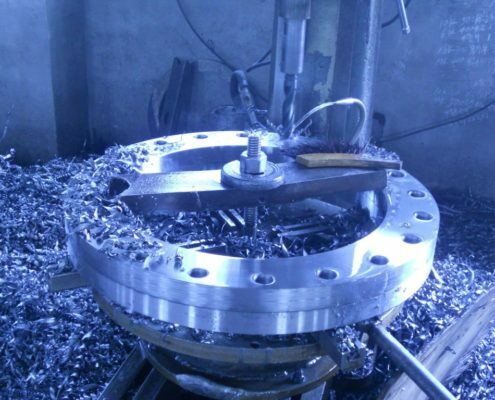 It is usually used to produce shaft blanks, such as lathe spindles and connecting rods. Punching: a forging process in which a punch punches a through hole or a through hole without using a punch. Bending: a forging process of bending a billet into a certain angle or shape. Torsion: A forging process that rotates a portion of a blank relative to another portion at a certain angle. Cutting: the forging process of dividing the blank or cutting the material. The die forging is collectively referred to as model forging, and the heated blank is placed in a forging die fixed to the die forging device to be forged. The basic process of die forging The process of die forging: cutting, heating, pre-forging, final forging, punching, trimming, quenching and tempering, shot peening. Commonly used processes are upsetting, lengthening, bending, punching, and forming. Commonly used die forging equipment Common die forging equipment has die forging hammer, hot die forging press, flat forging machine and friction press. 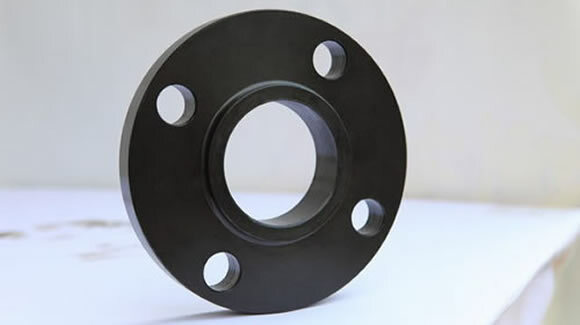 Both the cast flange and the forged flange are common methods of manufacturing flanges. See the strength requirements of the parts to be used. If the requirements are not high, you can also use the turning flange. The difference between the forged flange and the cast and forged flange is that the forged flange is a process for producing a production flange which is developed on the basis of the cast flange. 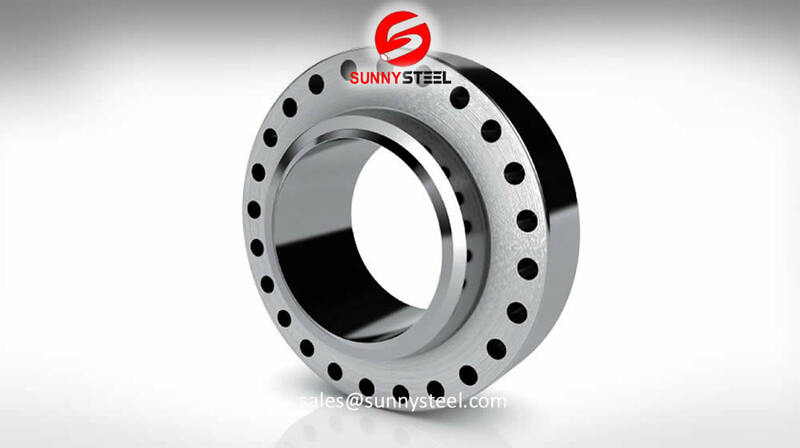 The forged flange has higher strength than the cast flange. The quality is relatively good, the price will not increase a lot. Generally, the low-quality pipes will be connected by casting flanges. 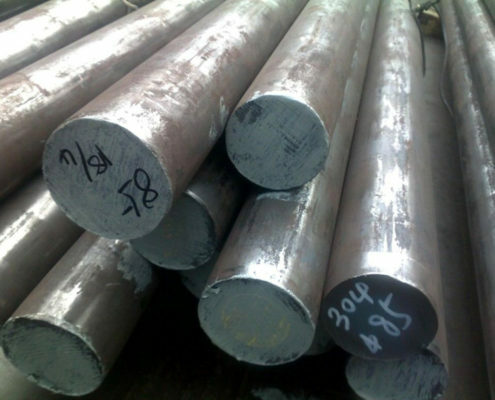 The high-quality pipes will be purchased with forged flanges. The quality of the forged flanges is better. In the quality pipeline, it is not useful for the low-quality pipeline to be able to exert sufficient performance. 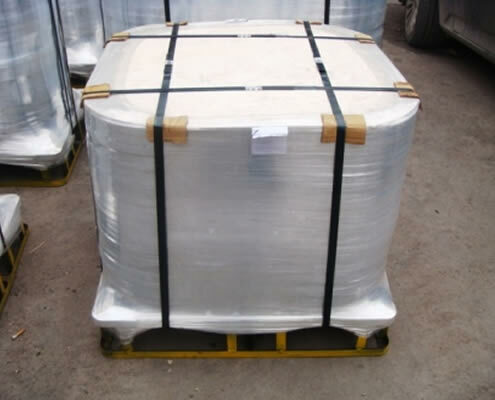 Casting flanges can only be used up to 16Kg, and are normally used in 10Kg or 6Kg pipes. Except for pressure requirements, the temperature should not be too high or too low. Generally there is no specification, but it is recommended to use forged flanges for important pipes. For example, some places with high temperature difference or vibration of the pipe may cause breakage, cracking, water leakage, etc. due to poor quality of the cast flange. 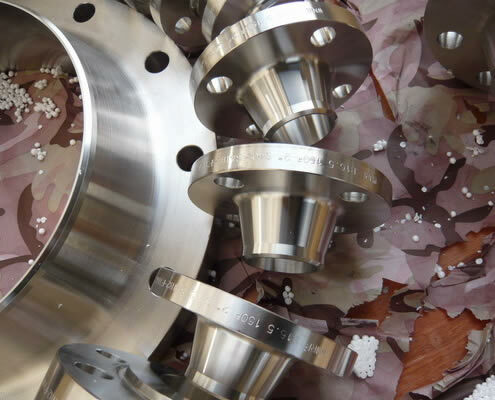 Different from the production process, the difference between the cast flange and the forged flange, such as the centrifugal flange, is one of the cast flanges. The centrifugal flange belongs to the production flange of precision casting method. This kind of casting is much thinner than ordinary sand casting structure, and the quality is improved a lot. 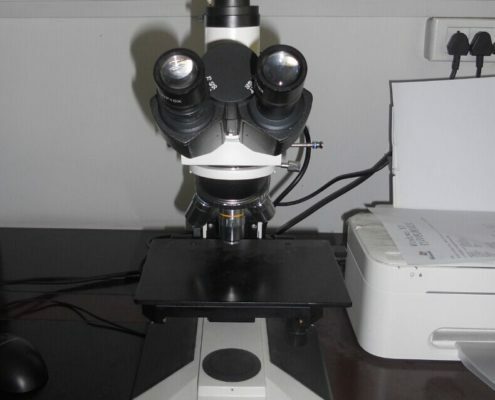 It is not easy to have problems such as loose structure, pores and trachoma. Cool down to near normal temperature with water and demould remove the casting. On the middle plate, the disk with the inner diameter and the inner diameter of the flange with the processing amount is directly cut out, and the bolt hole and the water line are processed. The flange thus produced is called a cut flange, and the maximum diameter of such a flange is limited to the width of the middle plate. 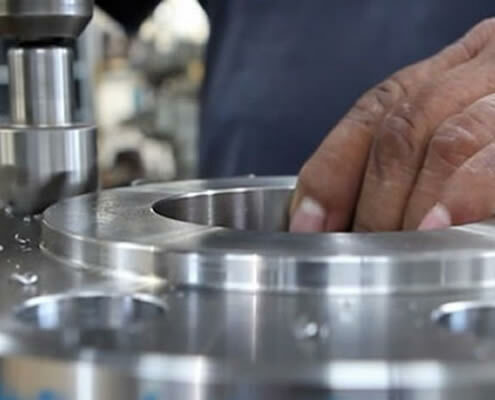 The process of cutting the strips with the middle plate and then rolling them into a circle is called rolling, and is used for the production of some large flanges. 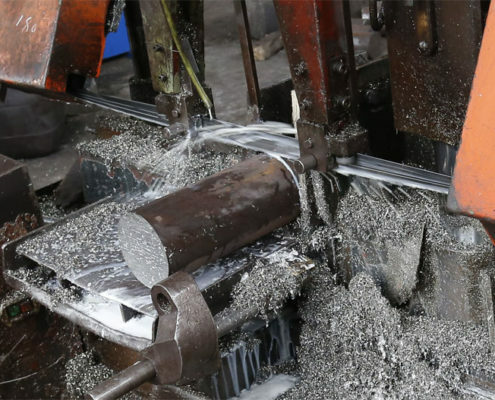 After the winding is successful, the welding is carried out, and then the flattening is performed, and then the process of the water line and the bolt hole is processed. The flange is the part of the shaft and the shaft that is connected to each other for the connection between the ends of the pipe. It is also used for the flange on the inlet and outlet of the device for the connection between two devices, such as the flange of the reducer. A flange connection or a flange joint refers to a detachable connection in which a flange, a gasket and a bolt are connected to each other as a combined sealing structure. Choose to process a variety of high-quality flanges to identify Titanium machinery, pipe flanges refer to the flanges used in piping in pipeline installations, used on the equipment to refer to the inlet and outlet flanges of the equipment. There are holes in the flange, and the bolts make the two flanges tightly connected. The flanges are sealed with gaskets. Flange threaded connection (threaded connection) flange, welded flange and clip flange. Flange connection is an important connection method for pipeline construction. The flange connection is easy to use and can withstand large pressures. Flange connections are widely used in industrial piping. In the home, the pipe diameter is small and low pressure, and the flange connection is not visible. If you are in a boiler room or production site, there are flanged pipes and equipment everywhere.